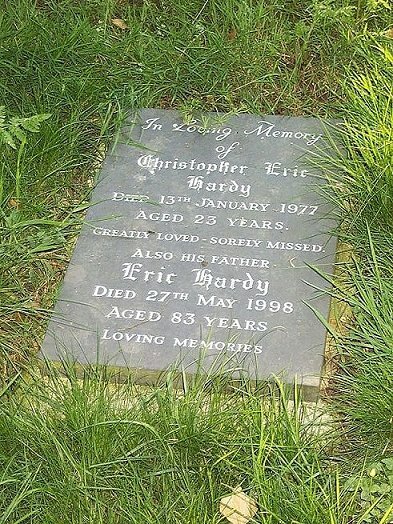 In Loving Memory of Christopher Eric Hardy. Died 13th January 1977 Aged 23 years. Greatly loved – sorely missed. Also his father Eric Hardy. Died 27th May 1998 Aged 83 years. Loving memories.